A head of its time? 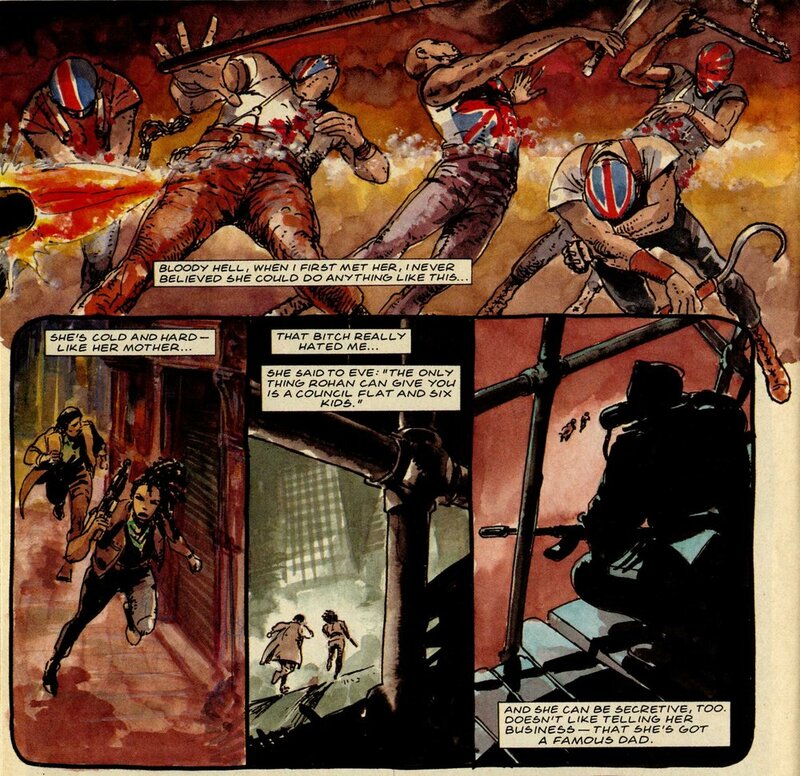 Brendan McCarthy paints the face of Britain from Third World War’s year 2000. Seems eerily prescient today. Crisis, what crisis. In this episode of Book 2 of Third World War, writers Pat Mills and Alan Mitchell record Eve Collins’ return to Britain, and boyfriend Rohan, on R&R from the Freeaid military programme in Central America. Pursued by government security forces, she finds little respite on the streets of London. Art: Carlos Ezquerra.